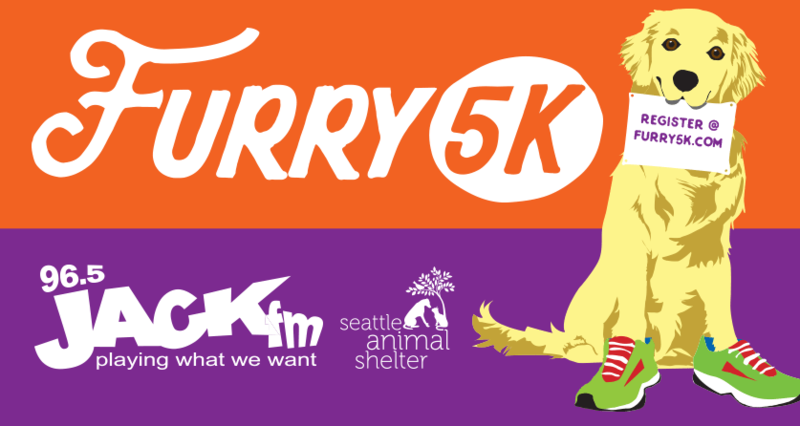 Each year, thousands of two-legged runners accompanied by hundreds of four-legged runners join the fun in the Seattle Animal Shelter’s annual Furry 5K Fun Run and Walk. This year’s event is scheduled for June 11, 2017 at Seward Park. On-site registration starts at 10 a.m. and the race starts at 11:30 a.m. All proceeds directly support the Shelter’s “Help the Animals Fund.” To preregister or for more information, go to www.Furry5K.com. Hurry and register before June 1st to get the $35 early bird pricing! Why you’ll be racing: Proceeds benefit Help the Animals Fund (HTAF). Established by the Seattle Animal Shelter in 1977, HTAF has been providing care for sick, injured and abused animals. The goal of this organization is to rehabilitate animals that have been subjected to cruelty and neglect.